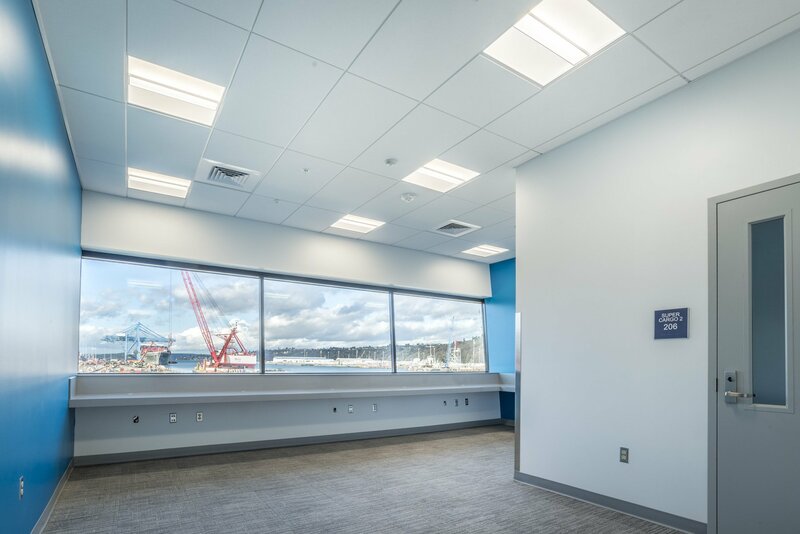 WA Patriot recently completed construction of the Pier 4 Marine Building, which is part of the larger Pier 4 Phase 2 Reconfiguration awarded to Manson Construction. 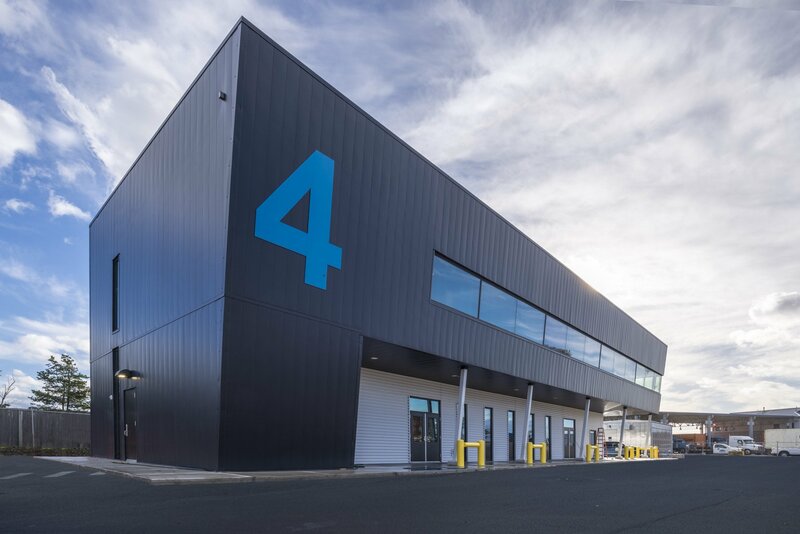 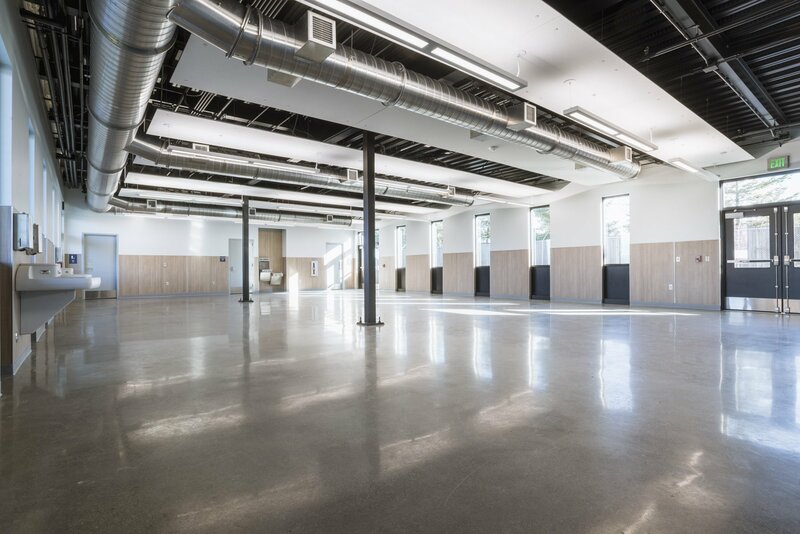 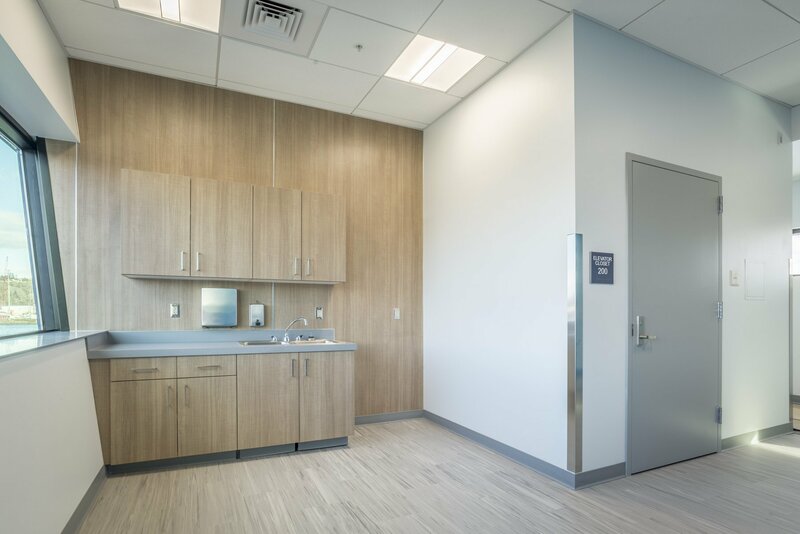 The two-story 6,700 sf facility includes a large break room, restrooms, offices, kitchenette, and an elevator for the Pier 4 Longshoremen. 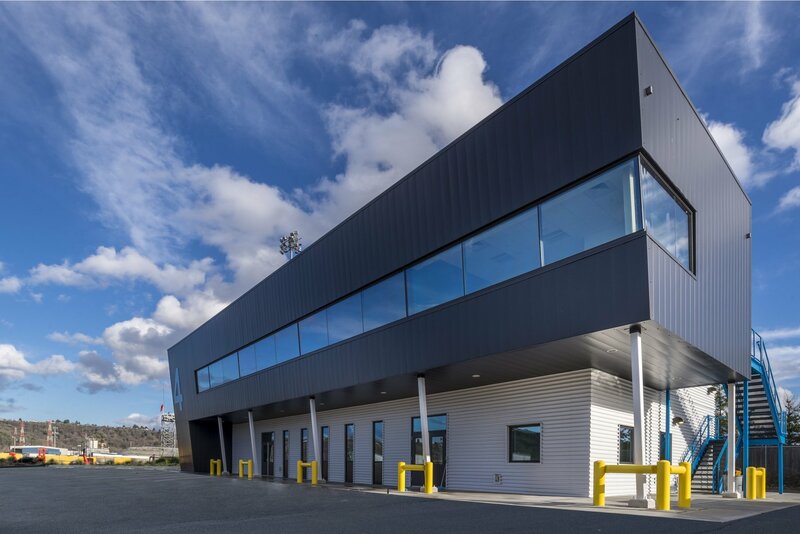 Building construction consists of a structural steel brace frame with structural wood framing, exterior metal wall panels, aluminum storefronts, wood and cork paneling, honed concrete, cloud ceilings and a PVC single ply roofing system.